A stylish hostel in Miami Beach that defies expectations. We are no strangers to beautiful hostels that defy expectations. In fact, we think you should never rule them out as a good, affordable alternative to hotels or apartment rentals. The Freehand in Miami Beach is a perfect example for that and when it opened in 2012, it did so with a bang. The space was conceived by developer Andrew Zobler, who’s also responsible for New York’s NoMad Hotel and for bringing the Ace Hotel to New York and Palm Springs, and designed by Roman & Williams. They took their inspiration for The Freehand’s quirky interiors from summer camps, boathouses, and lifeguard sheds and created a relaxed, homey vibe that welcomes travelers with open arms. 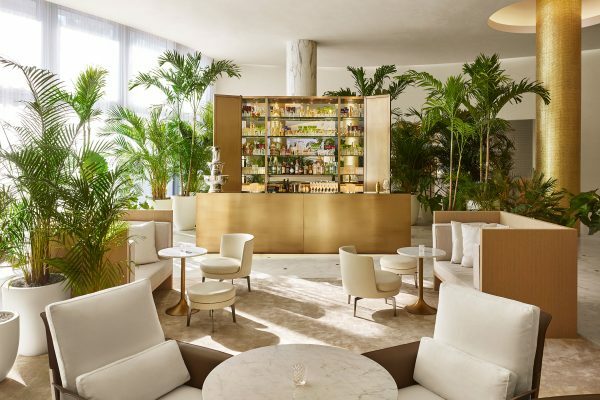 There are private as well as shared rooms, a fantastic bar called ‘The Broken Shaker’ that is a Miami Beach destination in and of itself, and a brand new restaurant next door, 27 Restaurant. There, you’ll be met with Tiki vibes and big smiles, and you’ll be served delicious, family-style dishes made out of local ingredients. A second Freehand in Chicago just opened its doors, more about that soon here.